At A.L.I., we know that one of today's hottest new options in the product and packaging label industry is the thermal transfer printer. These low cost machines allow you the flexibility to customize your labels, thereby reducing the inventory of similar labels with different part numbers, specifications, barcodes, etc. A.L.I. is pleased to be able to provide you with products, including printers and printer supplies (including standard black as well as color ribbon), from such quality manufacturers as Datamax, SATO, Ricoh, and Sony. Datamax is the world's leading international bar code solutions company. 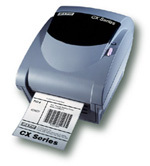 Datamax offers a full line of products to meet every barcoding requirement, including thermal bar code printers, bar code verification systems, software solutions, and direct thermal and thermal transfer ribbons. Customers from around the world choose Datamax equipment, from small manufacturing firms and single-outlet retailers to government agencies and multi-national corporations. 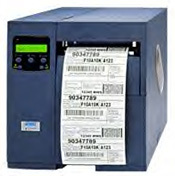 Datamax designs and manufactures the industry's broadest line of thermal printers for bar code labeling, offering products for the entry level, mid-range, high-performance, and speciality segments. All Datamax products are easily configured to meet each users particular situation. SATO Corporation, Japan, was established in 1940 to manufacture and sell packaging machinery. In 1962, SATO invented the world's first hand-held labeler and operations as an international supplier of labeling machinery were begun. The US subsidiary was established in 1977 and eventually became SATO America, Inc. in 1987. 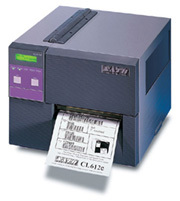 SATO introduced the world's first thermal transfer bar code printer in 1979 - the Model 2311. Since that time, SATO has continued to be in the forefront of thermal printing technologies. A.L.I. carries the SATO product line, including direct thermal and thermal transfer printers, OEM print engines, printer accessories, label design software, labels and thermal transfer ribbons. For more information about thermal transfer printers and products, contact us here at A.L.I. Labeling Systems. For more information concerning available thermal printers, or to place your order, call our Customer Service Department at 1-800-344-4088.